The middle of the week just got TOTALLY AWESOME, thanks to Emma Wednesdays! It’s sure to be a wacky adventure when Emma G. agrees to earn the money for her trip herself… but, when it comes to Boyz3000, she will do whatever it takes! 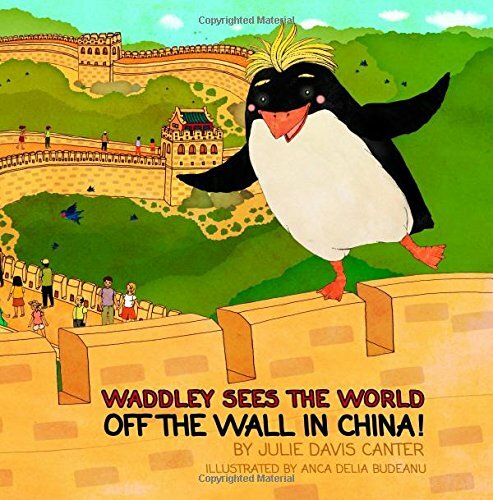 Join Waddley as he Sees the World! Did you know that the fastest species is the Gentoo Penguin, which can reach swimming speeds up to 22 mph? 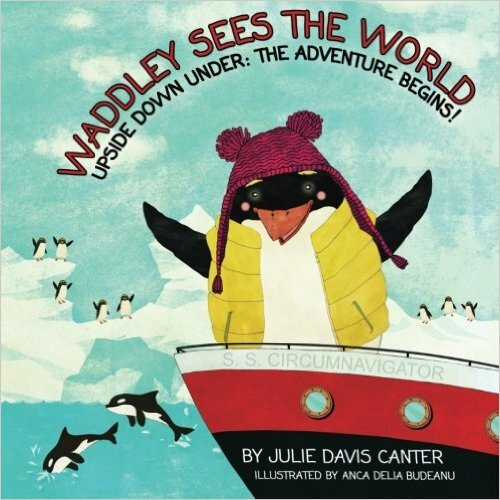 Join Waddley, the adventurous Macaroni penguin, on his adventure down under! Waddley, a Macaroni penguin who lives in Antarctica, has always dreamed of seeing the world! He gets his chance when he meets Lexi and Sam, and joins them on a round-the-world cruise — and the next stop is Australia! His dream come true, Waddley cruises into Sydney Harbor as the sky blazes with Australia Day fireworks, plays the yidaki and races around the massive rock natives call Uluru, swims with giant fish in the Great Barrier Reef, and finds himself upside down in a kangaroo’s pouch, as he — and readers — learn all about the country down under. Did you know that a cat can jump approximately seven times its height? Sweet Tales are the perfect chapter books or read-out-loud books for the entire family — and for animal lovers of all ages! Told from the animals’ point of view, each tale explores universal themes (with lots of trouble and adventure in-between), and resolves problems with determination, love, and understanding. When needed, humans help, along with a colorful group of friends that includes cats, dogs, coyotes, squirrels, a woodchuck, crow and fox. Swamp Wallaby and the Big Wave: Extreme Outback Challenge! Meet the Extreme Outback Challenge officials Jak and Mi-Mo and the flying chopper pilot and commentator Zig-Zag! Swamp Wallaby has lived his entire life in the vast Australian outback — but has always dreamed of living a life of adventure. When he hears about the Extreme Outback Challenge… Well you can only imagine what happens…as Swamp and his friends travel across the desert to enter the competition and surf the most EXTREME wave of all! Emma G. gets in over her head when she agrees to wash the neighborhood dogs…wait… wash? or walk? Oh Aaron, if you only knew! Did you know that Emperor Penguins are the tallest species, standing nearly 4 feet tall? The smallest is the Little Blue Penguin, which is only about 16 inches! Take a quick dip in the pool before enjoying a sweet tale! Swamp Wallaby and the Big Wave: Wallaby Crossing! WHAT!? How can Emma G. POSSIBLY get a ‘D’ on an essay?! and this time, it will be the best essay she has ever read! Did you know that all 17 species of penguins are naturally found exclusively in the Southern Hemisphere?